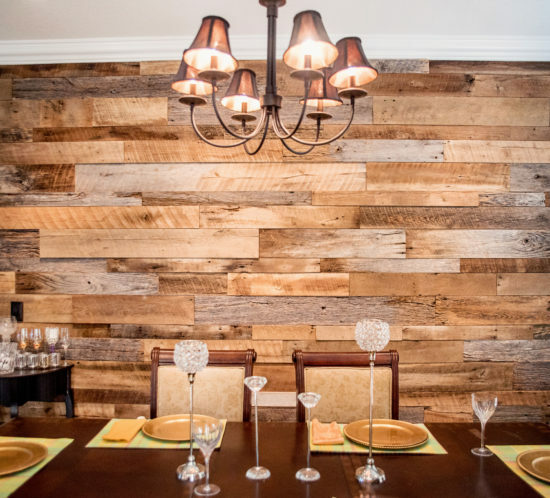 We recently installed this stunning reclaimed wood accent wall in this dining room and it looks amazing. The Hughes really wanted to add some warmth and rustic character to their home and thought the reclaimed barnwood would give them just the rustic look that they were going for. The mix of the grey and brown boards really adds a lot of character to this space. The wood is from an old barn in northern Tennessee that dates back to the mid 1800’s. 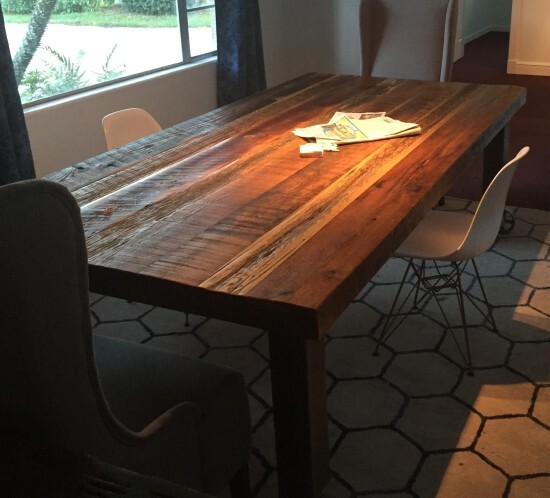 This reclaimed barn wood farmhouse table is one of our favorite tables. The wood used to make this table is from an old barn we took down in Northern Tennessee that dates back to the mid 1800’s! The simple Farmhouse style design really allows the natural beauty of the wood to shine through. We have used a clear water based polyurethane to seal and protect the wood for normal everyday use. 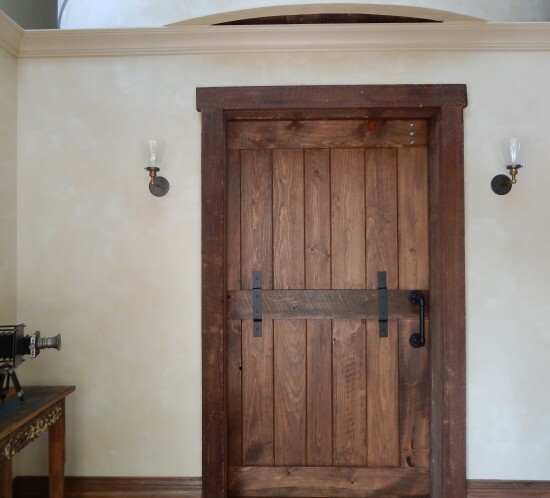 Rustic Barn Doors are all the rage in interior design these days and we just custom built this one for local business here in Orlando Florida. It’s made out of pine wood, it has custom metal accents and an industrial pipe handle. It was finished with a special walnut stain. 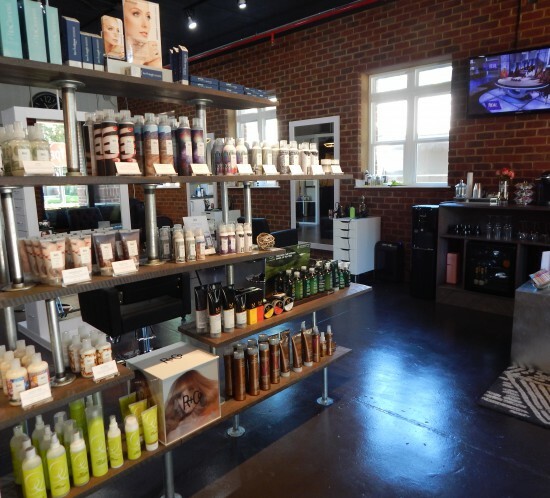 This super cool project is a Reclaimed Wood and Pipe Shelving Unit Retail Rack for a hair salon in Orlando. We worked one on one with the customer to design and create this project. The shelving unit is made of reclaimed pine wood and we used 1″ pipe. One of our first tables, this is our best seller! 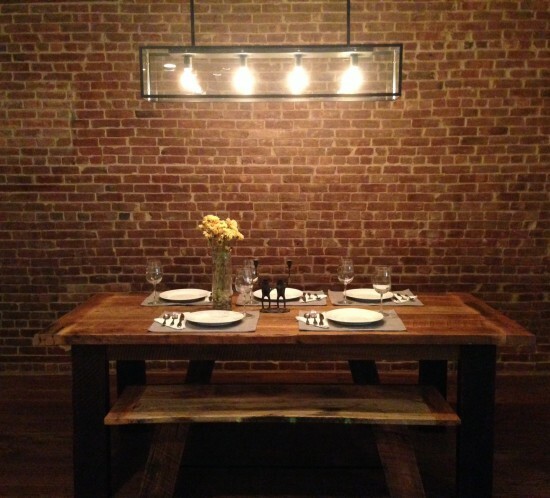 It’s a Reclaimed Oak Wood Farmhouse Dining Table with Matching Benches. This table is the perfect rustic yet elegant reclaimed wood dining table set. It is a mix of 2″ thick white and red reclaimed oak wood that came from a railroad station in Nashville Tennessee.